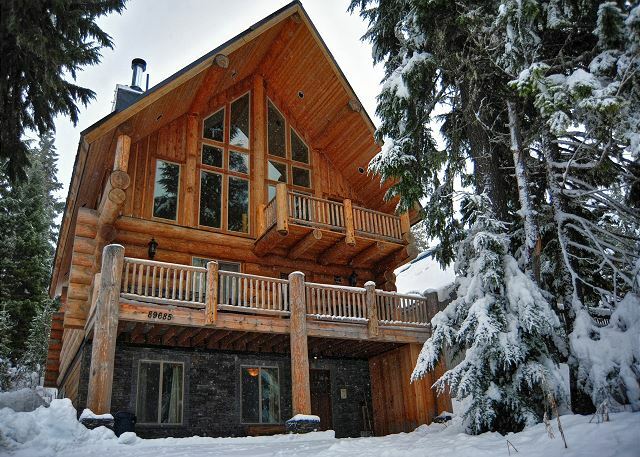 Chalet Chocolat is a skier’s paradise. 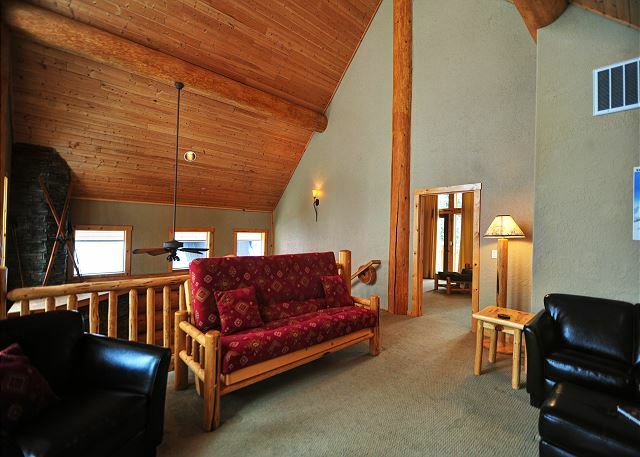 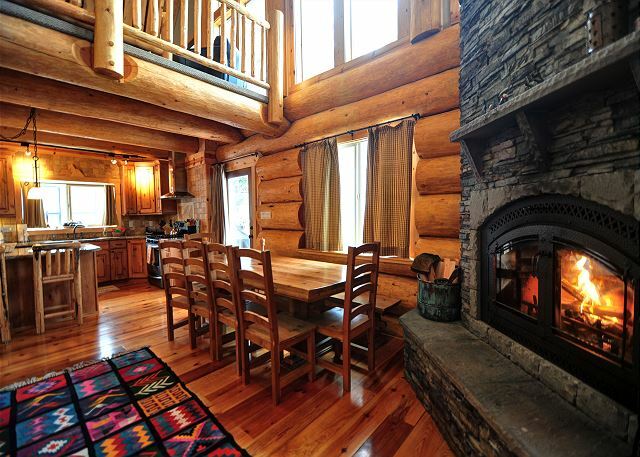 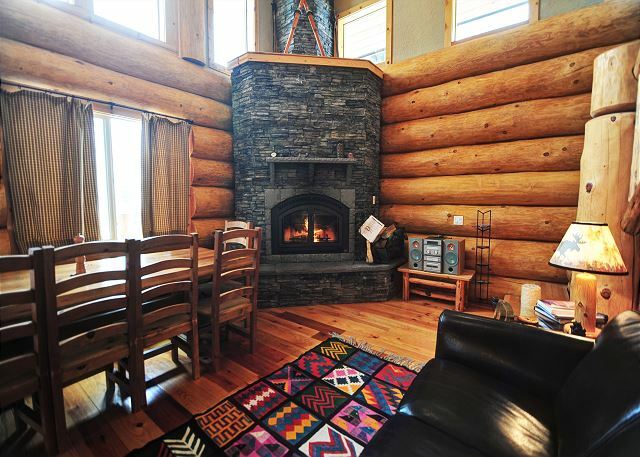 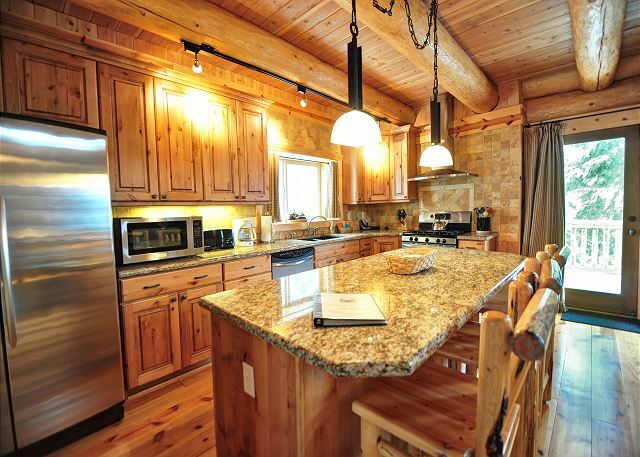 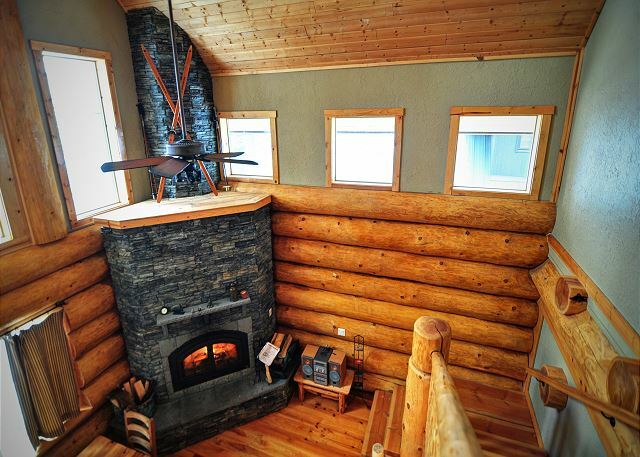 This three level, 2,800 sq ft luxury log home is just minutes from historic Timberline Lodge, Skibowl and Mt Hood Meadows. 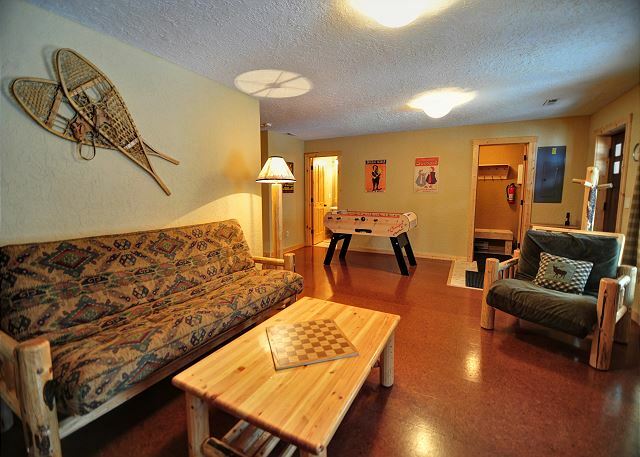 Located in Government Camp, close to hiking and snowshoe trails, it is only a short walk to the center of town where you can enjoy dining and evening entertainment. 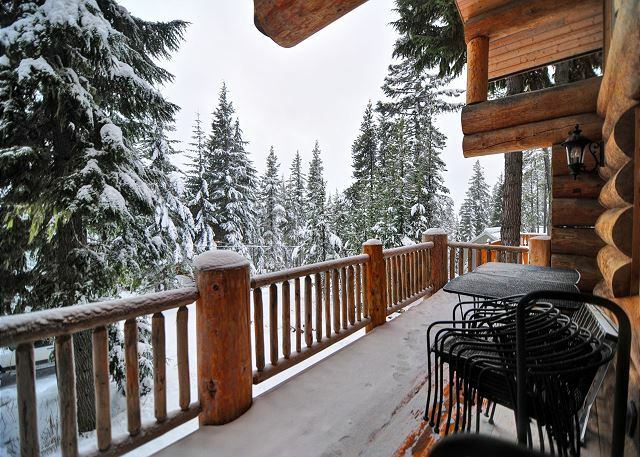 You will be a short drive from some of Oregon ’s most beautiful lakes where you can enjoy fishing, boating and swimming. 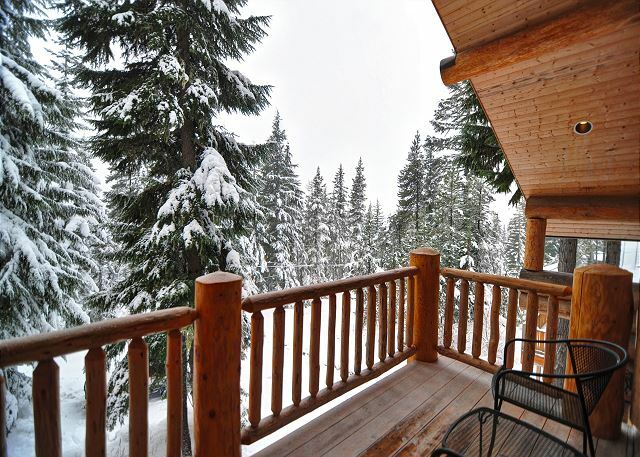 Chalet Chocolat is furnished with pine log beds, leather sofas and chairs, and French art. 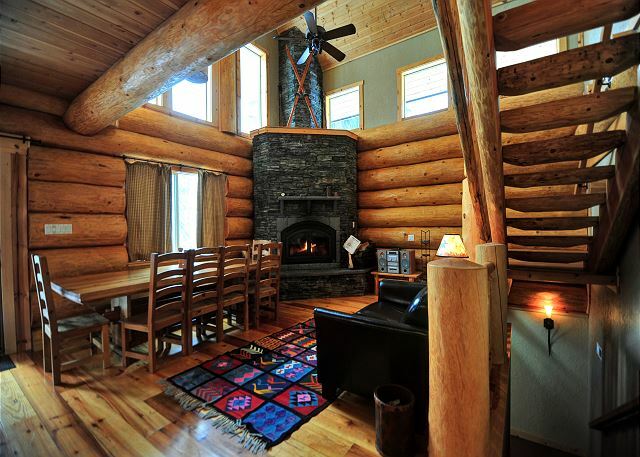 The massive stone fireplace opens to the dining and kitchen areas. 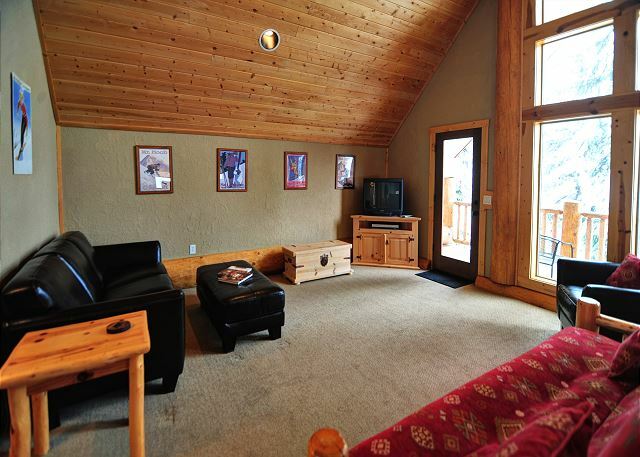 With vaulted ceilings and two story windows, Chalet Chocolat might just make you think that you are in the French Alps. 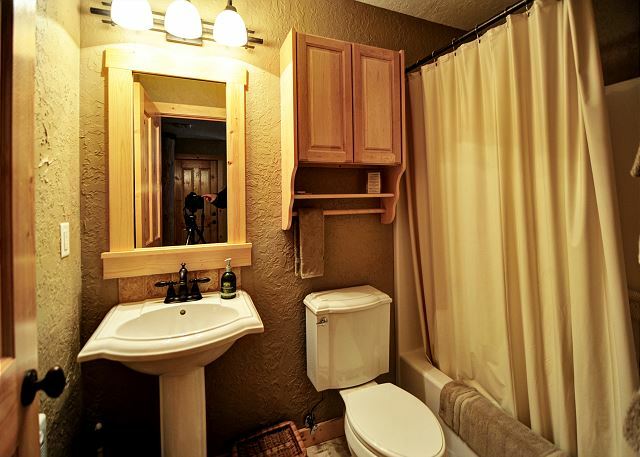 *The ground floor has two bedrooms. 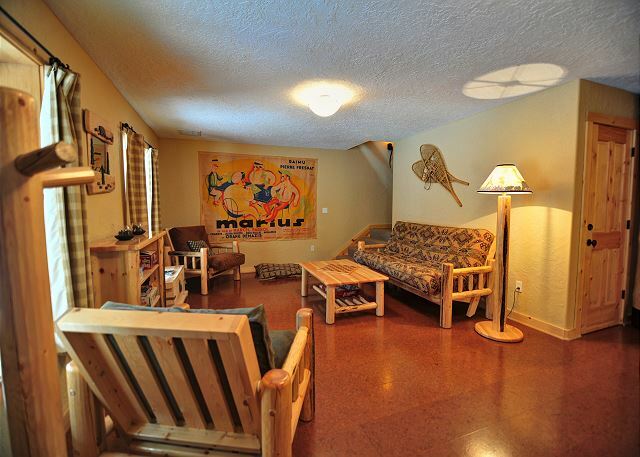 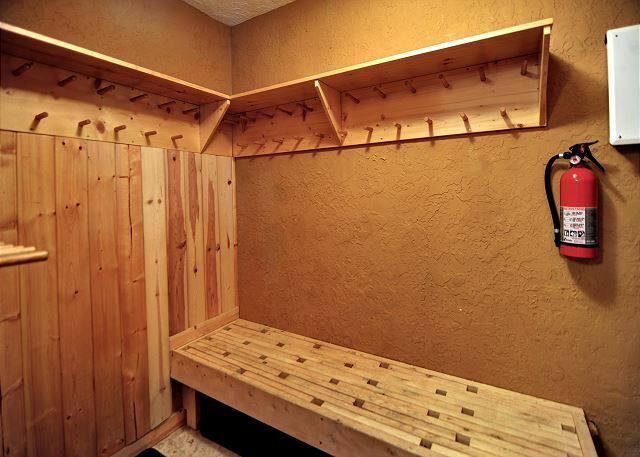 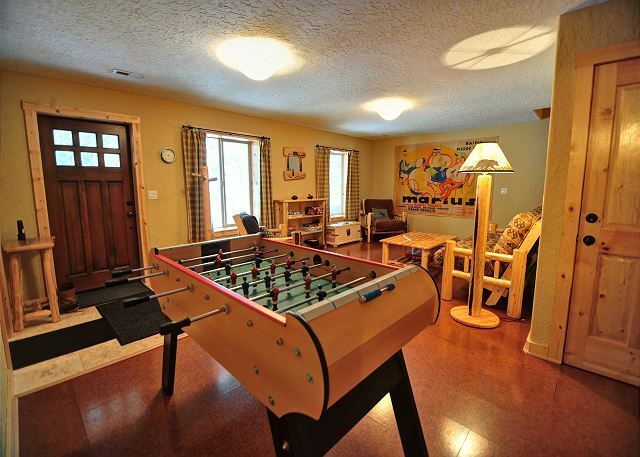 There is a full bath, a family game room with a foosball table, TV, DVD, VCR, board games and puzzles. 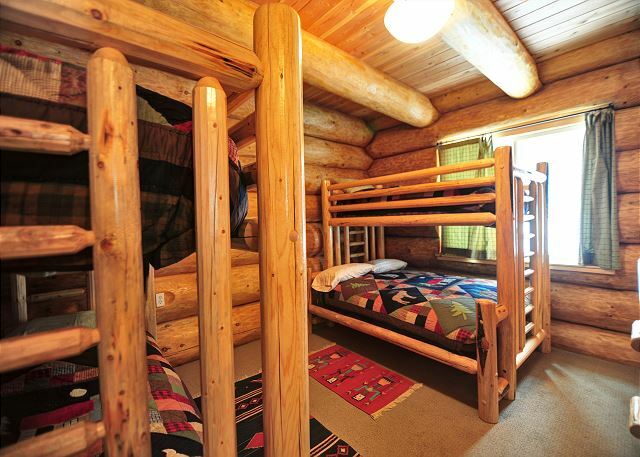 A pine log futon sofa doubles as a bed if needed. 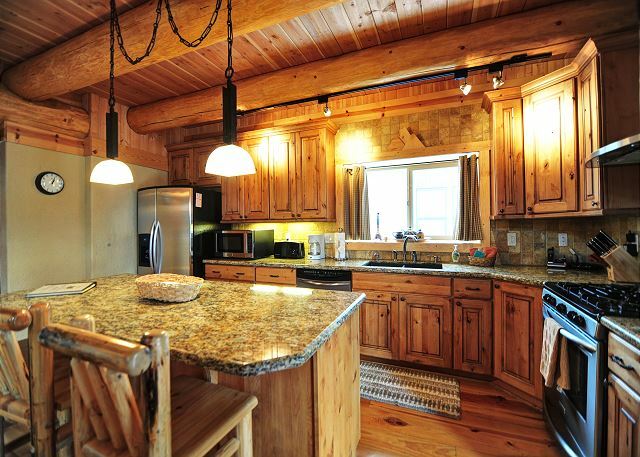 *The first floor has a fully equipped gourmet kitchen with granite countertops and bar, stainless steel appliances, microwave. 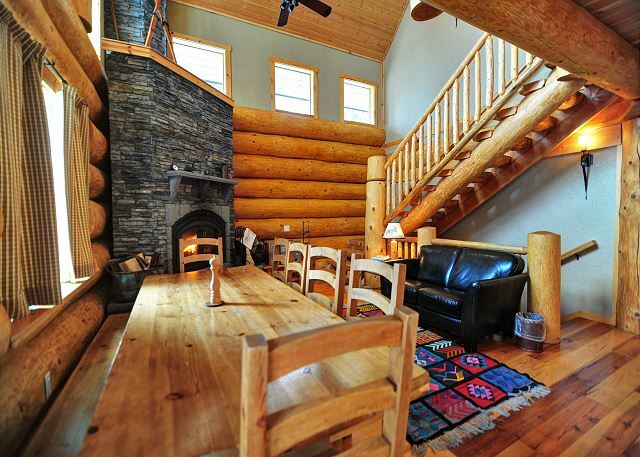 The dining room table seats 10 people. 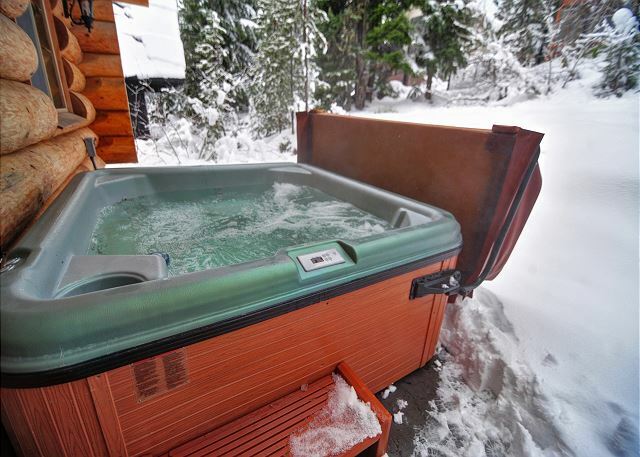 Enjoy a glass of wine on the balcony while gazing at the slopes or soak in the hot tub to unwind after a day of skiing, hiking or fishing. 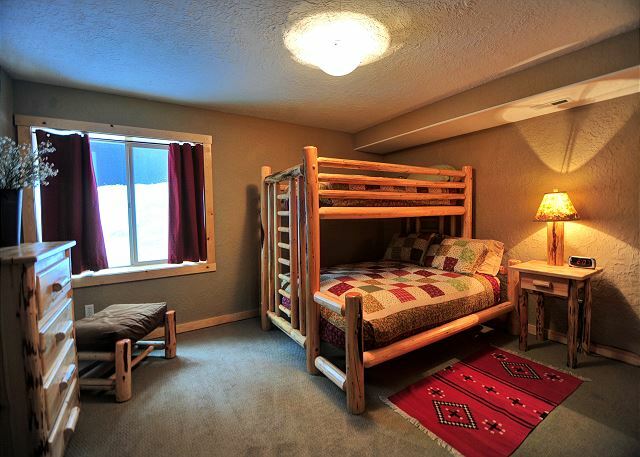 The large bedroom suite has a twin bunk bed and a twin/double bed bunk, as well as a private bath. 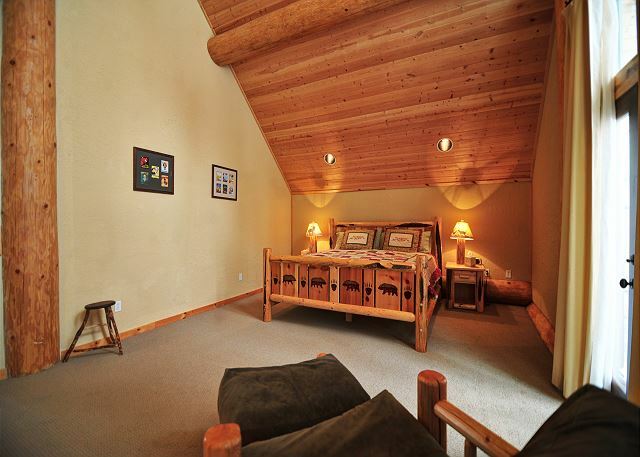 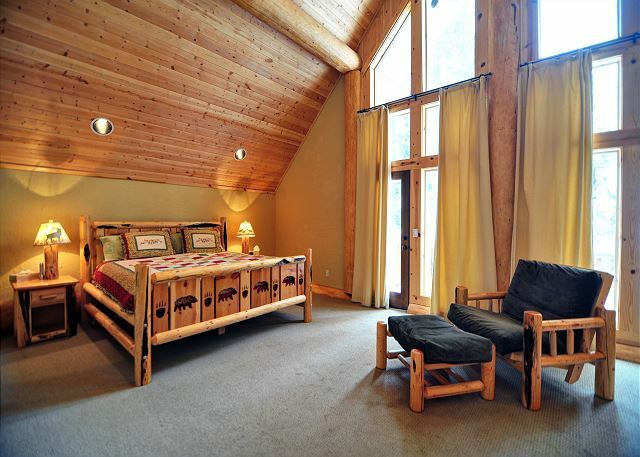 *The top floor master suite features a family room with a balcony and a futon sofa. 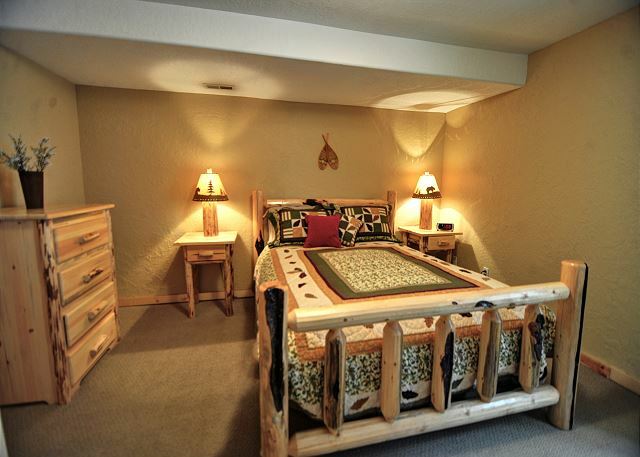 Sleep well in your “Bear” pine log King Bed! 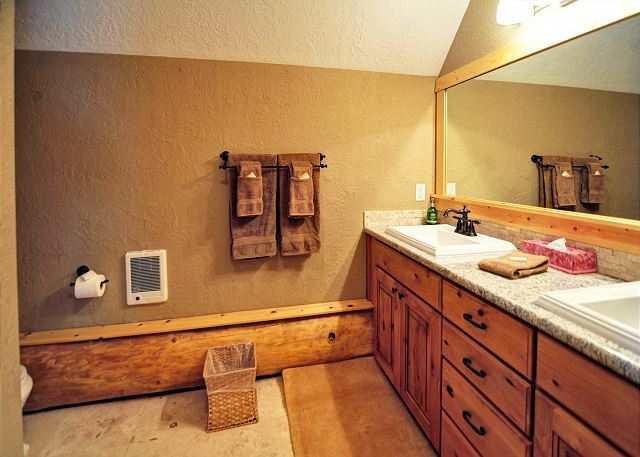 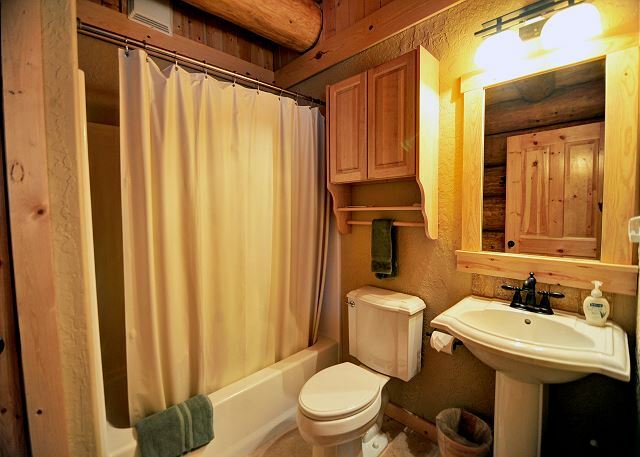 Enjoy the view and spacious private bath, but before retiring, don’t miss looking through the treetops at Skibowl’s night runs, or lying back on the leather sofa listening to music.